The DNA of every modern Rolex Submariner comes from the reference 5513. Since the introduction of the Submariner in 1955 to this day, this diving watch icon has remained permanently sought after. The Submariner 5513 is recognizable by its classic dial with two lines of text and no date window. For those who love the details: it's a "Serif Dial". The edges of the hour indices have serifs and the middle line of the "E" in "ROLEX" has no serifs. The dial is in absolute mint condition. Brownish, creamy lume color gives the dial a beautiful patina look. Even the lume dot in the bezel at 12 o'clock is completely present. The charisma of this watch is very honest. 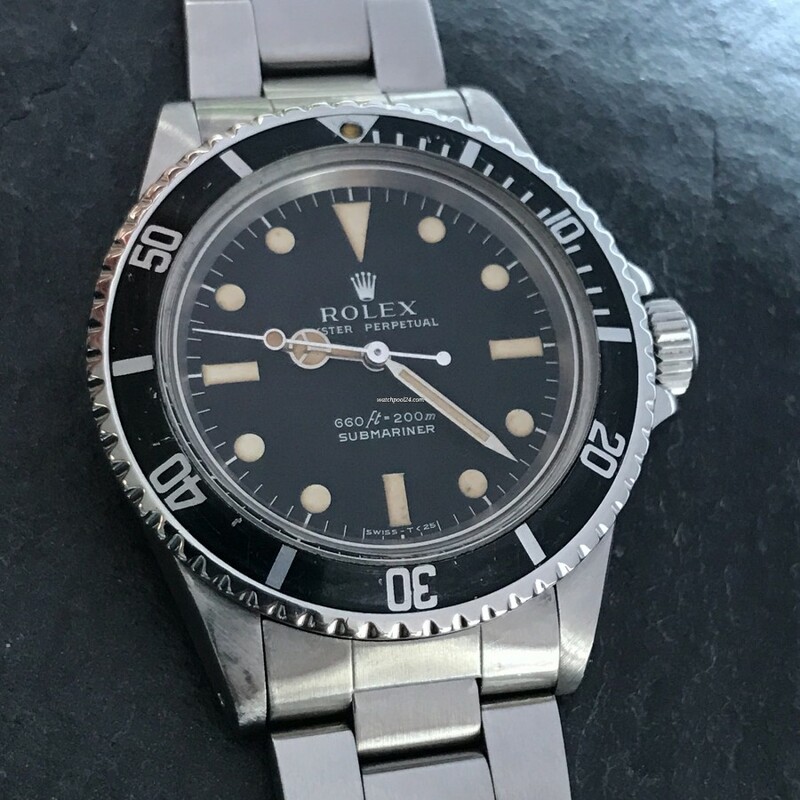 Anyone looking for a classic Rolex with a great history will be happy while wearing this watch. You get a lot of Rolex for this money.